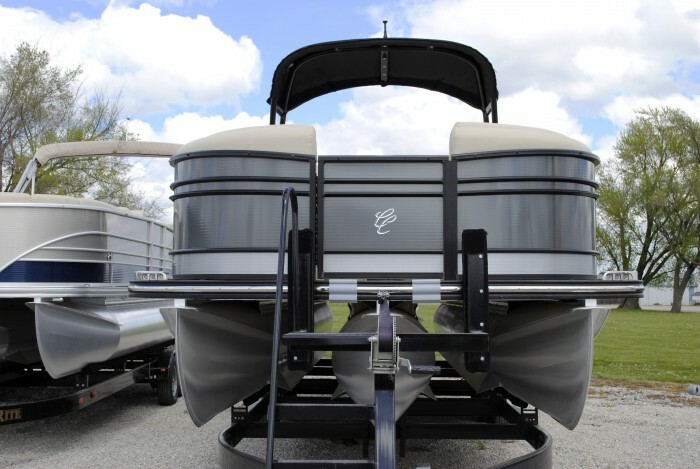 New 2016 Pewter Cypress Cay Cayman 250 LE with Silver accent equipped with the Cypress Cray Convenience Package, Black Delta Tower with Bimini, T3 Performance Package, and Dual Lounger Floor plan with Dual Helm Seats. 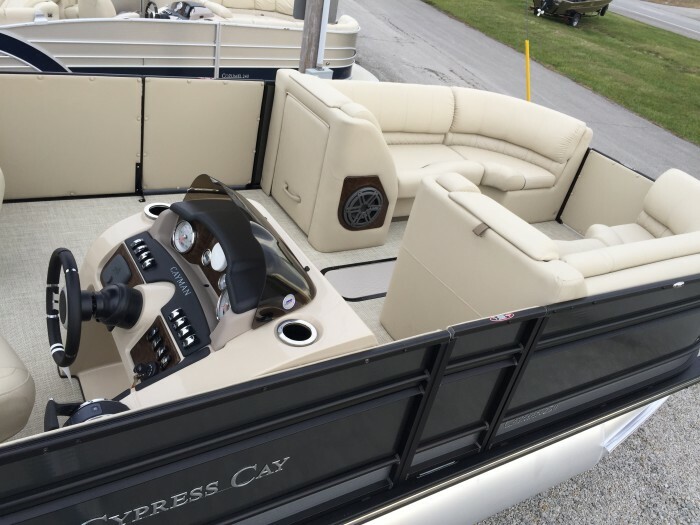 This new 2016 Cyress Cay Cayman 250 LE pontoon (in Pewter) has a dual lounger floor plan with dual helm seats and comes equipped with the Cypress Cay Convenience Package containing wood grain portable cupholders, QR fenders system, LED lighting, & kick plates. 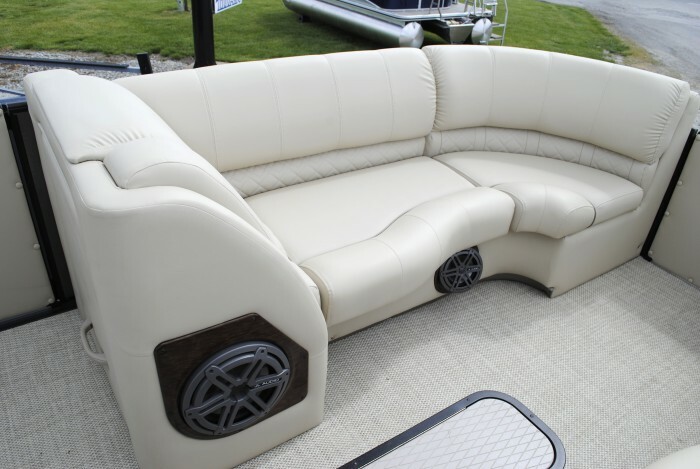 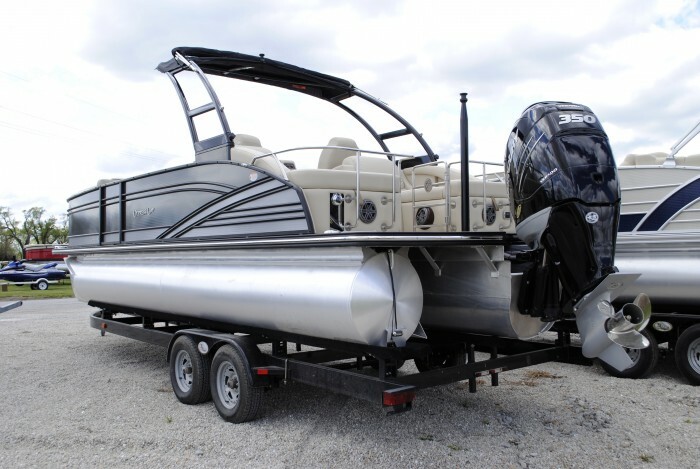 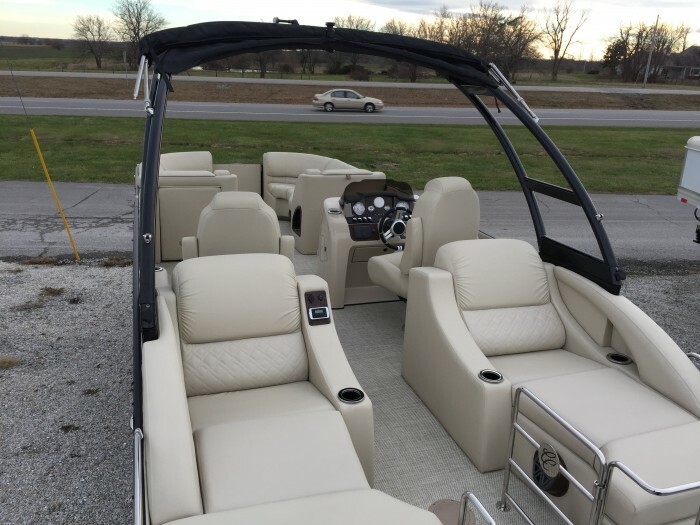 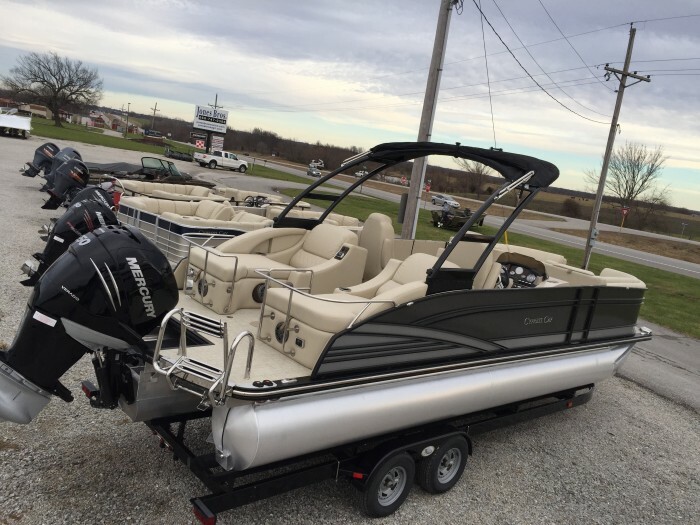 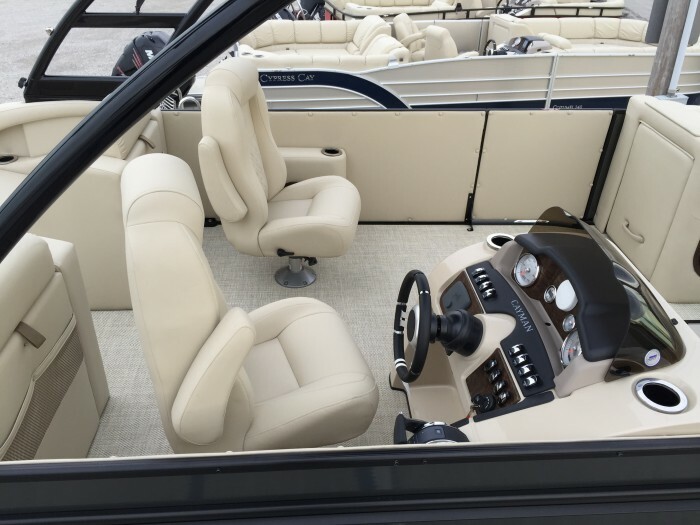 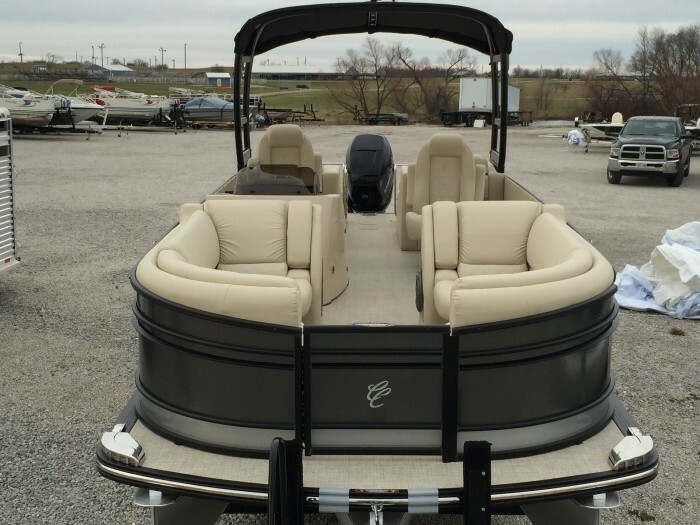 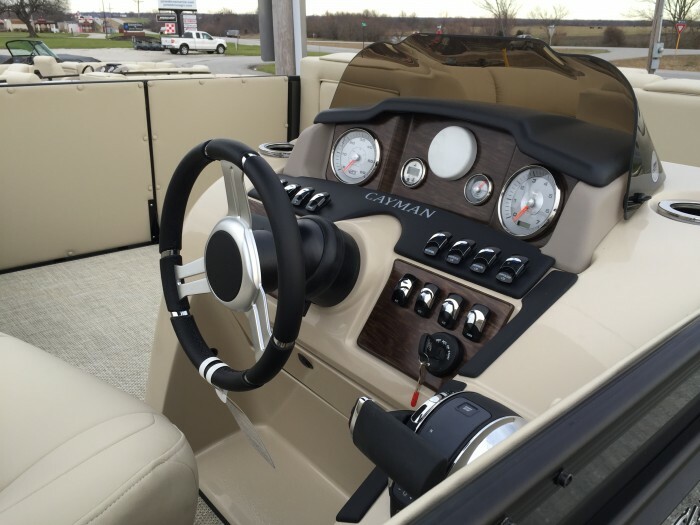 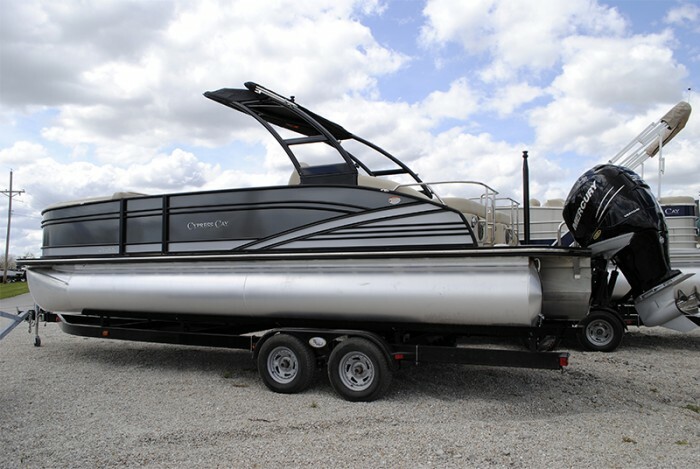 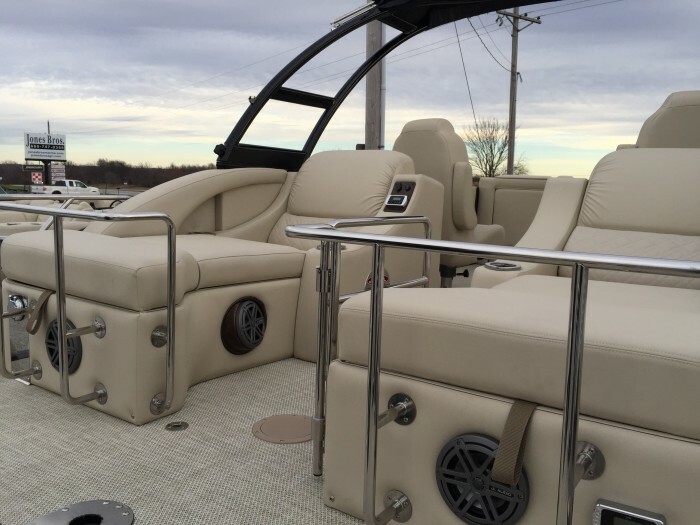 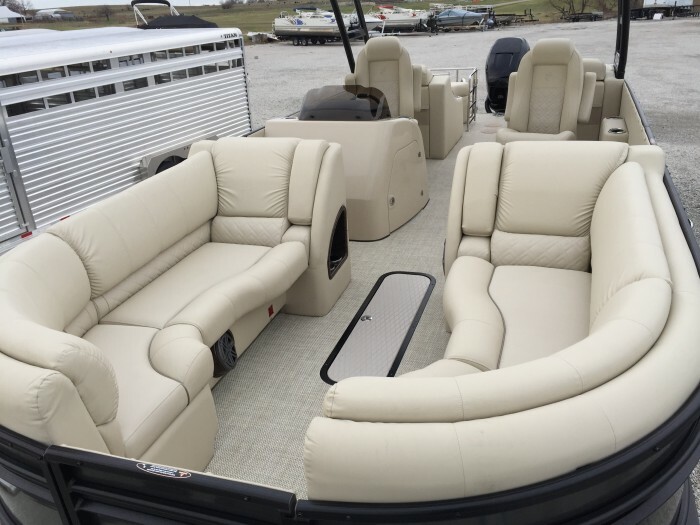 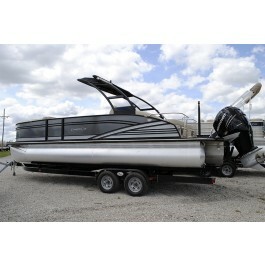 Popular added features include canvas seat covers, automatic ladder, United States flag, woven Shadow Diamond flooring, black wake tower with a black bimini, and JL audio Bluewater sound system with 6 speakers, amp, and sub. 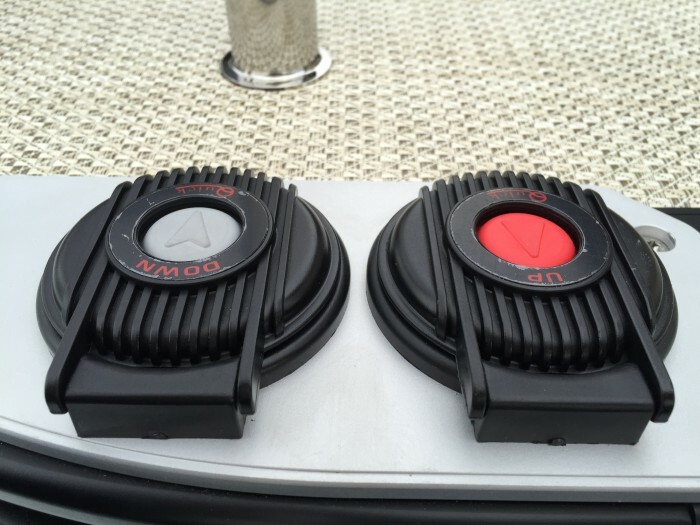 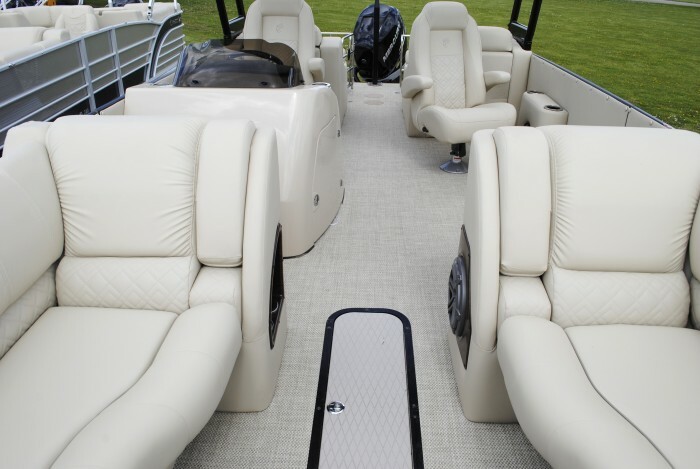 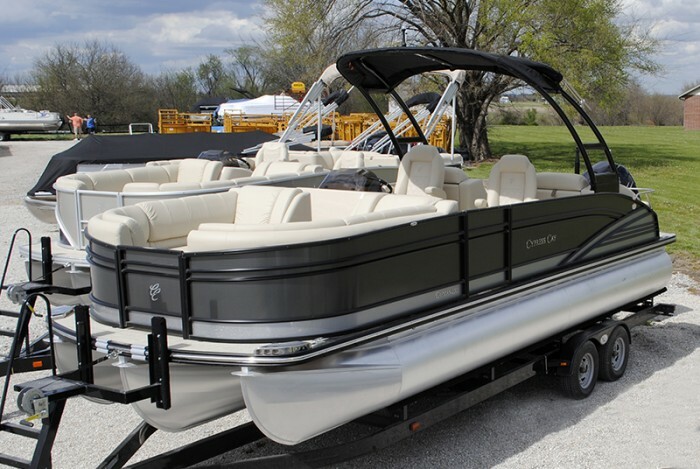 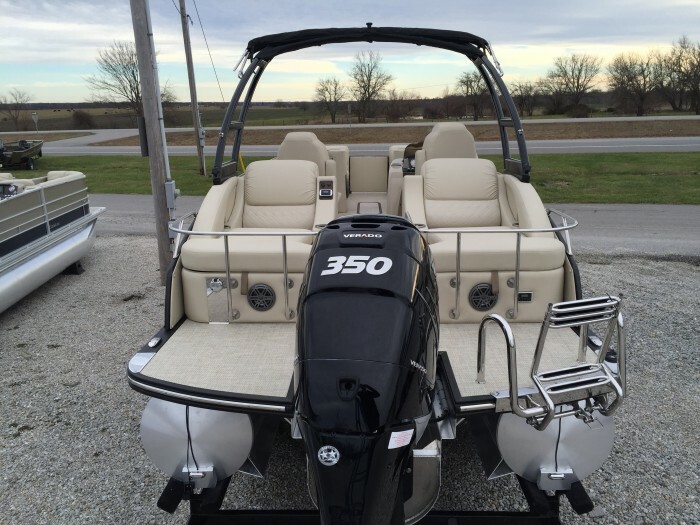 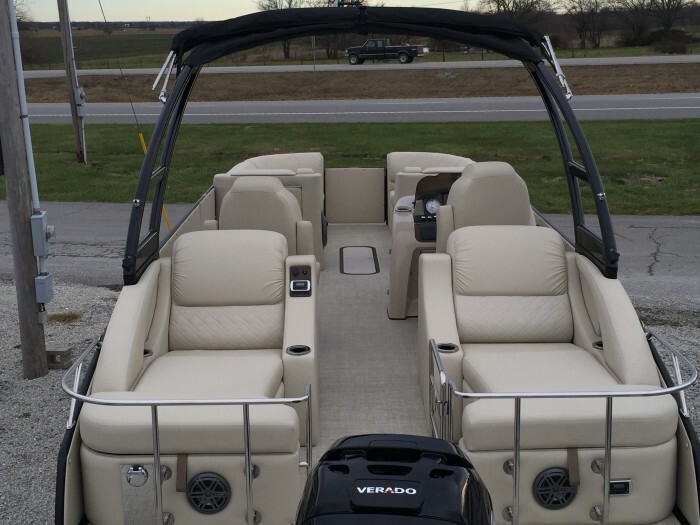 This pontoon is powered by a Mercury 350 HP Verado with Mercury power assist steering. 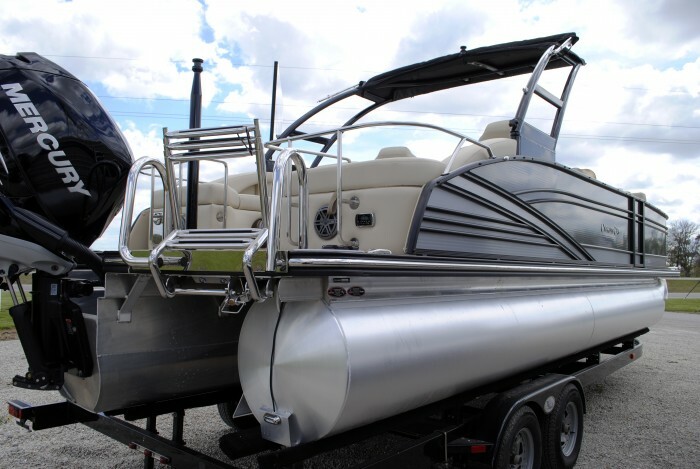 This pontoon is also fitted with the T3 Performance Package which includes an added full length center tube, lifting strakes, skin kit, and Rough Water Package with reinforced nosecone.